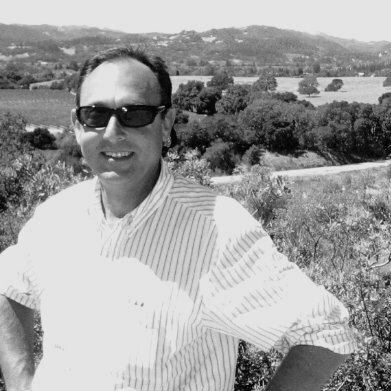 Reader poll – please let me know what you would enjoy reading about from Sonoma wine country? 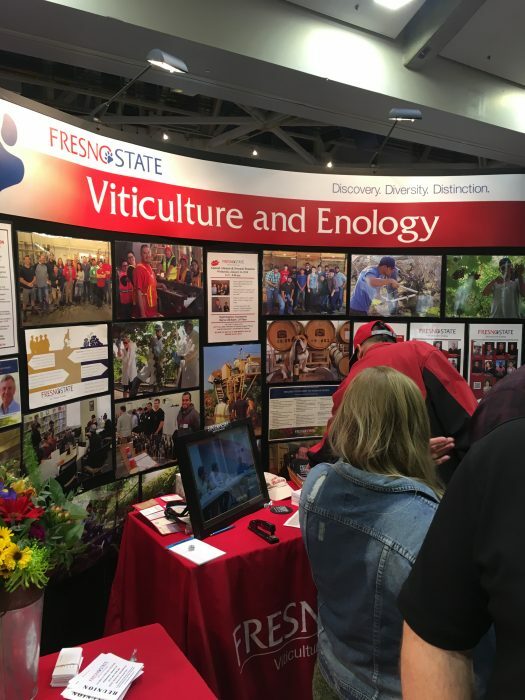 Growing grapes, making wine, new brands on the scene, groundwater depletion, awards and competition commentary, snarky insider information, etc? 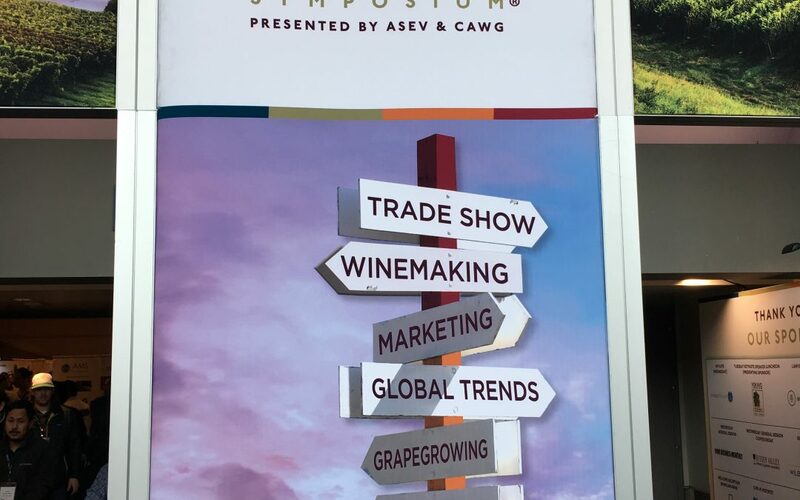 Were any of you at the Symposium? If yes, please let me know what you found most compelling? 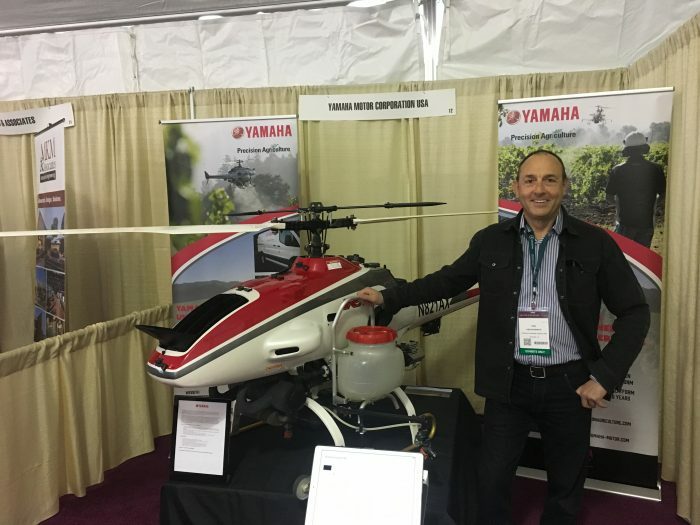 Drones are not new, but how about this man-sized tank-fitted drone helicopter with the ability to spray (organic or non-organic) from the air. The closest thing to a vineyard monster truck, this behemoth harvests grapes mechanically. 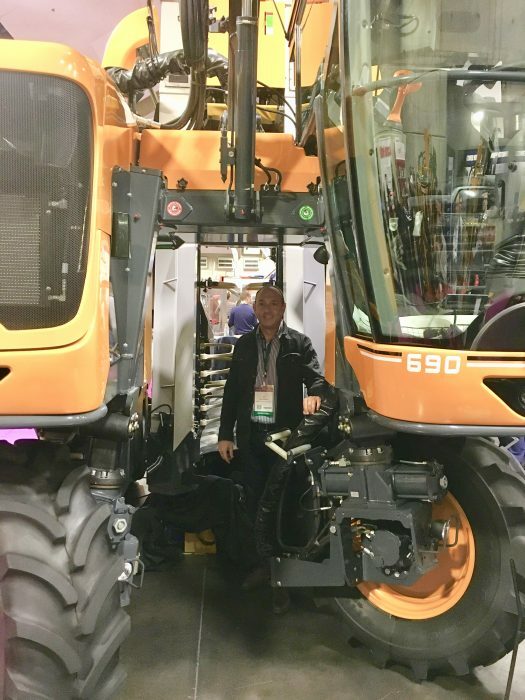 It can harvest many tons per hour, far exceeding manual hand harvesting. A very popular topic these days due to labor supply issues, training, health and safety regulations, etc. 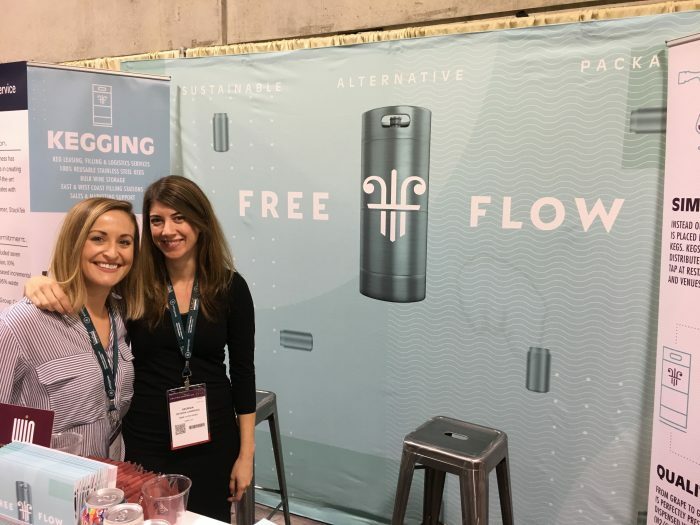 Jordan Kivelstadt’s company, Free Flow, provides over 150,000 beer-kegs from which wine is loaded and poured directly out of kegs at restaurants and bars across the country. 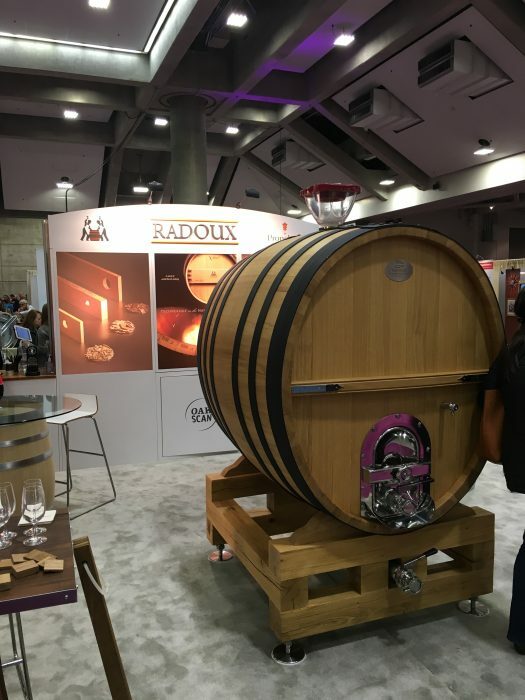 Radoux, a respected oak barrel supplier. 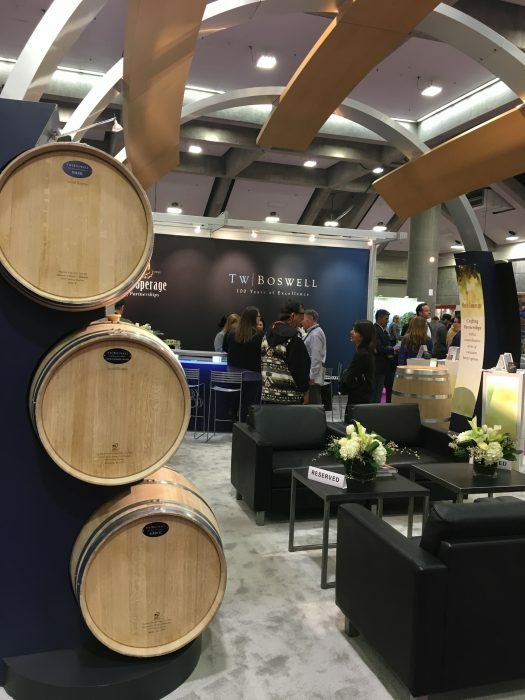 World Cooperage and their TW Boswell line of oak barrels. Barrels? Staves? Chips? Or how about spirals? Forego oak barrels and place these spirals into older barrels whose oak is already ‘used up’ (otherwise known as neutral barrels). 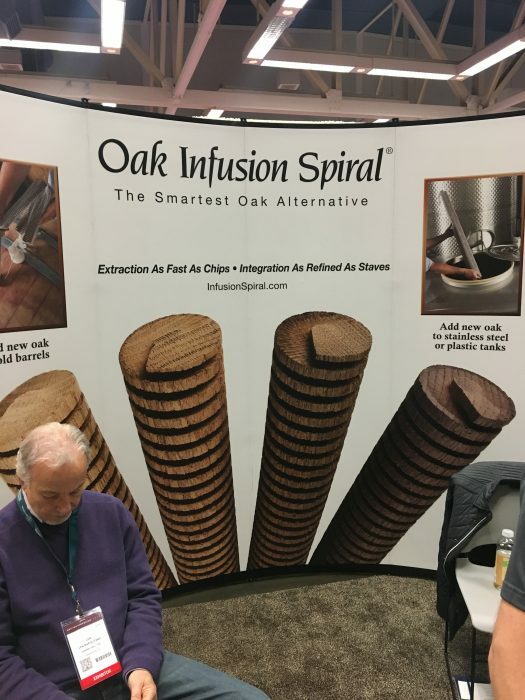 This remains a legal yet controversial tool – some argue it makes more sense than buying new barrels every year, others argue that when you artificially put oak ‘flavoring’ into wine it will age out just as fast making the endeavor a waste of money. What do you think? 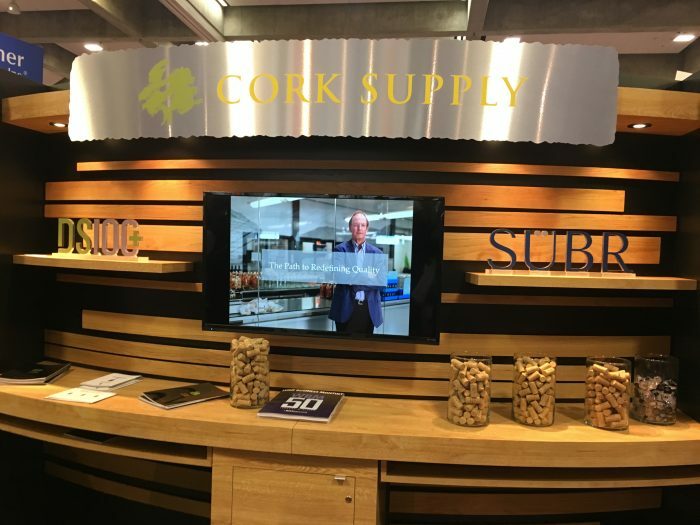 Same for corks and capsules, many vendors offer a deep bench of product options and technical info. 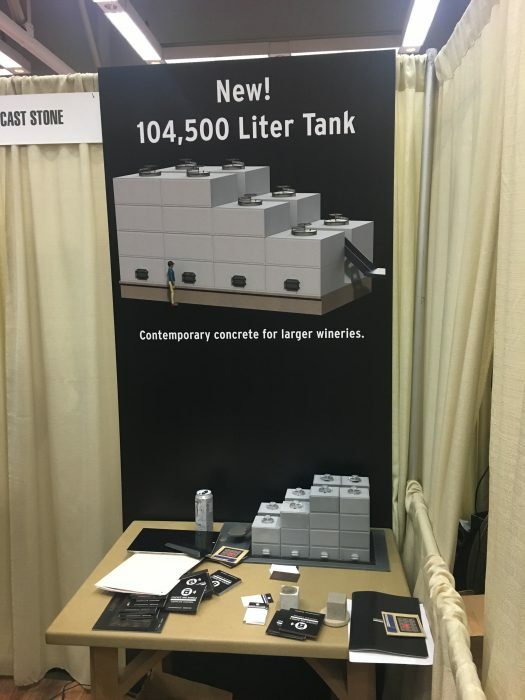 They are innovating many new ways to store, age, measure, and move wine around the winery. 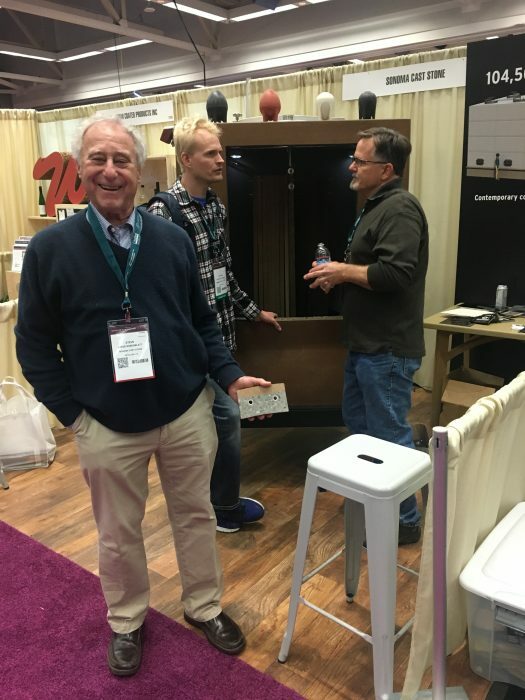 A company worth watching closely! Need to build a cave into your hillside? 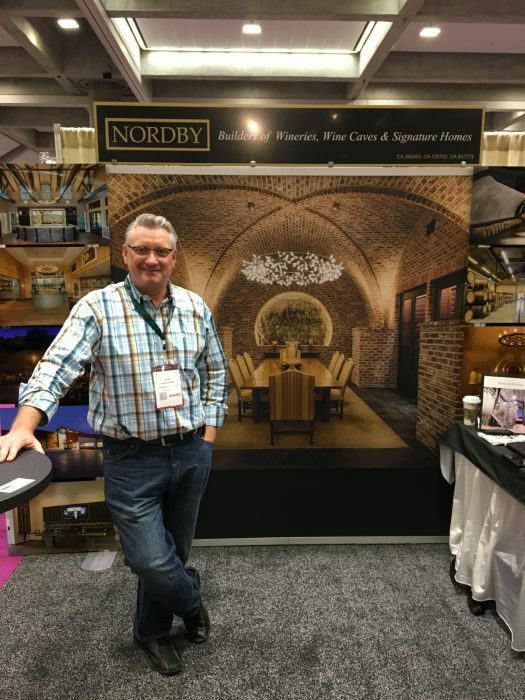 See Craig Nordby, famed wine country cave builder, with clients that include Roth, Justin, Inglenook, and many other noteworthy clients. 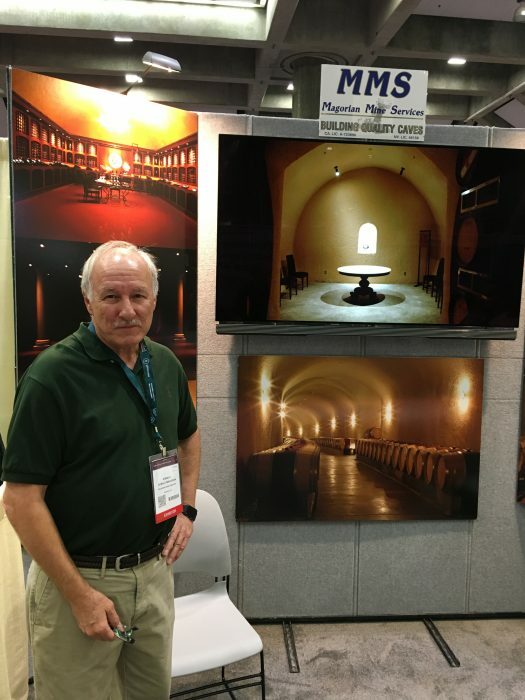 Or talk to Don Magorian, of Magorian Mine Services, out of Auburn Ca., who has built caves for famed wineries including Staglin, Ferrari Carano, Vineyard 29, and many other noteworthy clients. 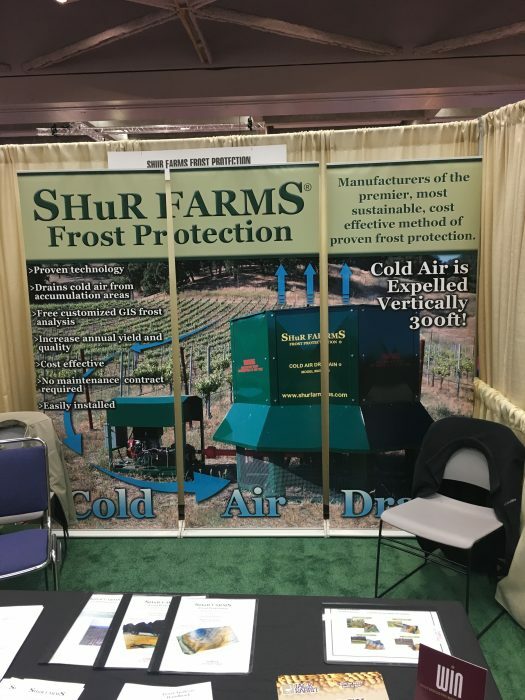 How about protection from spring freeze during bud bud break? These fans, driven by a simple gas motor, and an auto-temperature sensor, really work. 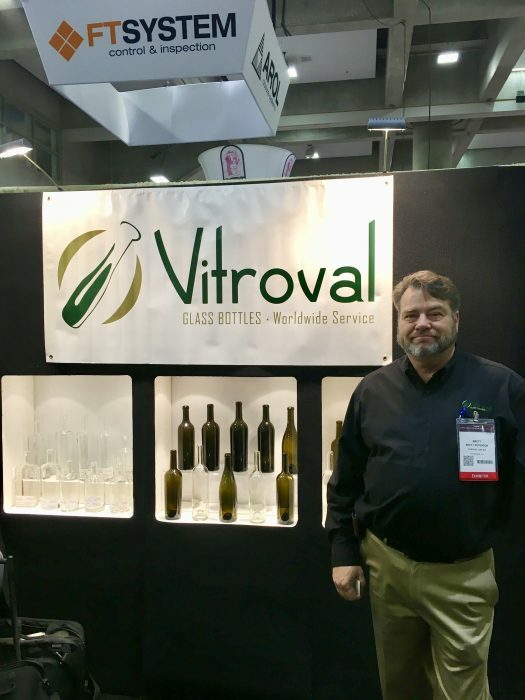 I have one in one of our client’s vineyards and it works like a charm. 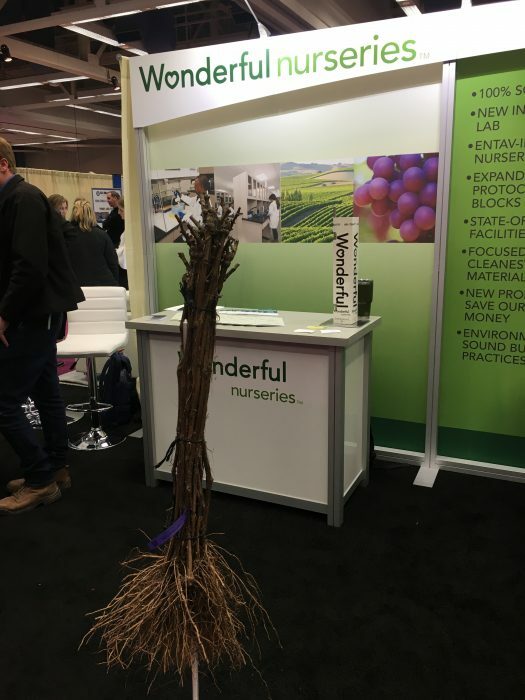 Need grapevines, then Wonderful Nurseries is one good choice. 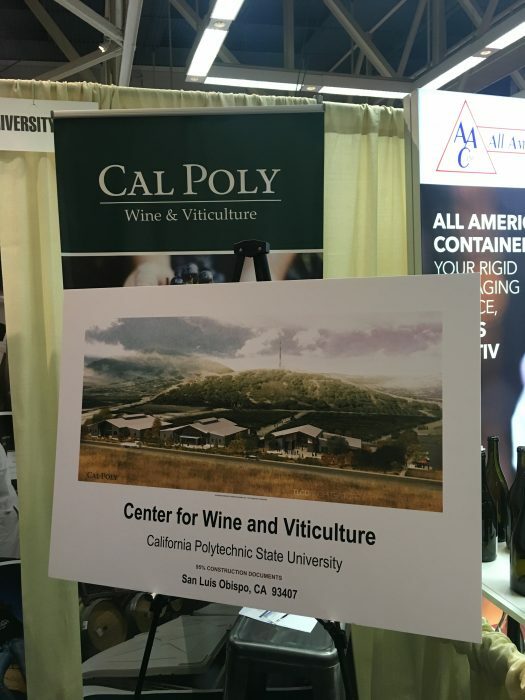 Owned by the Reznick family, owners of Wonderful Pistachios, I Kunik Produce, Justin and Landmark Wineries, and many other fine companies. 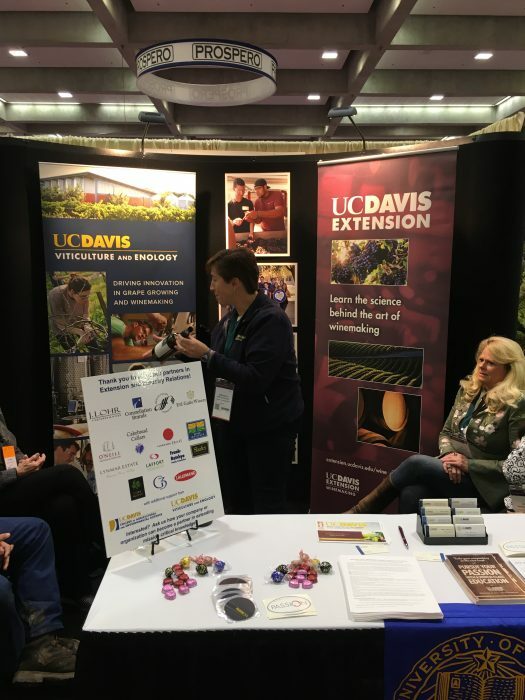 How about testing for soil issues? 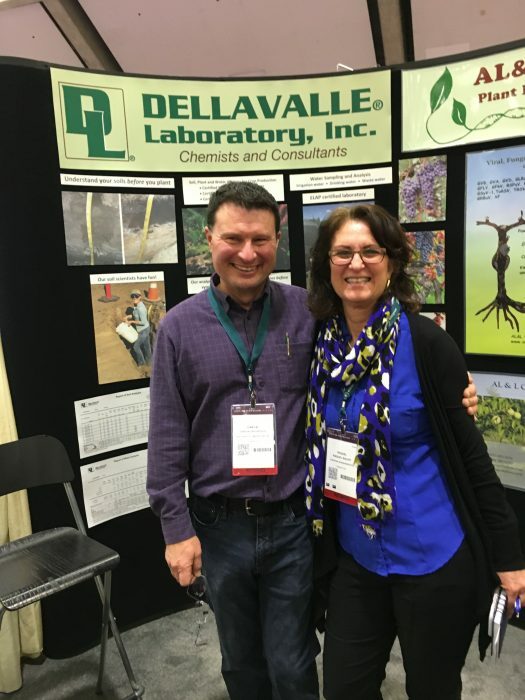 There were at least 3 labs specializing in the vineyard space, including Dellavalle. 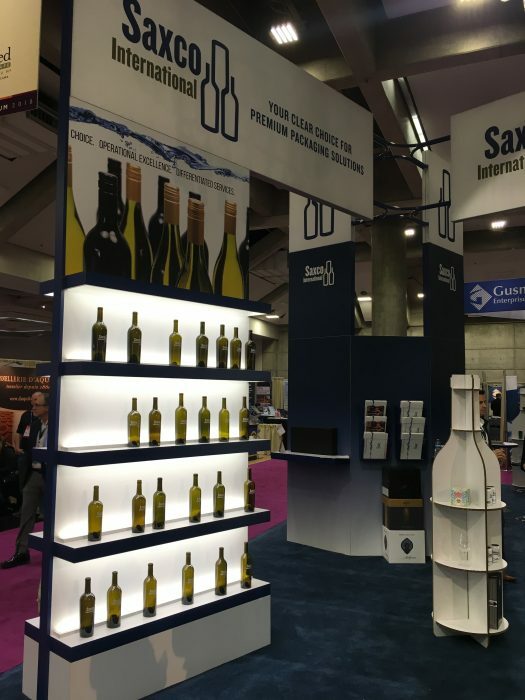 Next post – meet the winners of our ‘first to reply’ contest – 3 winners replied within 5 minutes to the previous blog posting earning a free bottle of wine for each!